Whether you’re galloping over to Ascot or gate-crashing an English garden party, swanning in sans topper is simply not an option, dahling. First, a little about you. 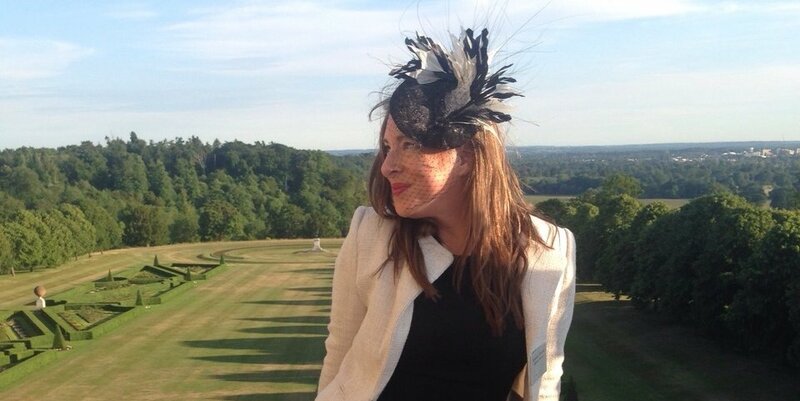 When did you first decide to become a milliner? Growing up, I had always been interested in fashion, but I had a 3D mind that wanted to create something more theatrical than clothing. While studying Fashion at the Surrey Institute of Art & Design, we were visited by a lady from Frederick Fox (former milliner to the Queen Mother). She showed us an amazing hat that she’d cast from rocks and this, for me, was a lightbulb moment – I just knew I wanted to become a milliner. After college, I worked for the great Stephen Jones and Catherine Delaney before setting up my own business. I am still fascinated by millinery today; it encompasses fashion, art, design and sculpture all in one neat head-topping package. Where do you look for inspiration when designing hats? I am from the country so a lot of my work is inspired by the colours and shapes found in nature. Nature was the first ever art form, after all. 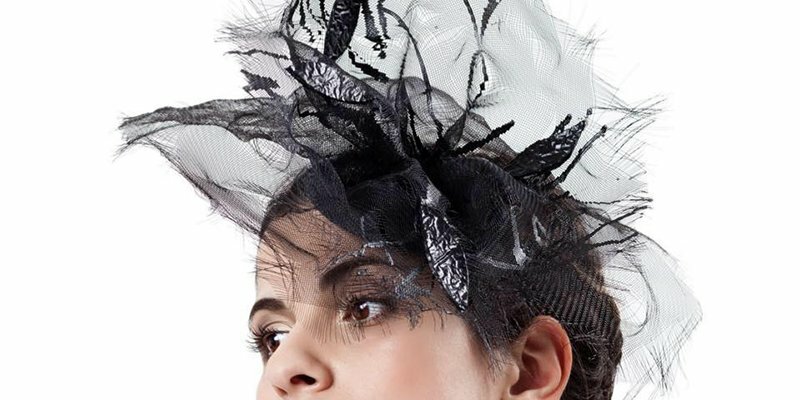 I also admire architects like Zaha Hadid and Thomas Heatherwick; you may see some of their lines echoed in my millinery. And, I am a huge fan of fashion from the ‘20s and ‘40s, so some of my pieces certainly pack a vintage vibe. Apparently, my great-great-grandmother was a milliner so that’s probably been a subconscious influence too. You work with some beautiful laces, silks, appliques and beads, where do you source these materials? I source most of my fabrics from Shepherds Bush Market, Berwick Street in Soho, Parkin Fabrics, and Baxter Hart & Abraham. For trimmings and exciting bit and bobs, it’s worth visiting Barnett Lawson, hidden away in a basement off Regent Street. But that’s my little secret, shhh! 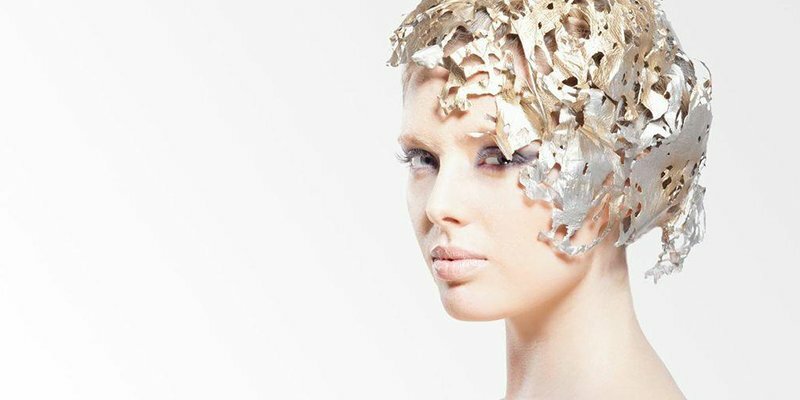 What is the most extravagant headpiece you’ve ever made? The first unusual piece that springs to mind is a tiger mask we made from latex, with a luscious mane of Chinese pheasant feathers, for a hi-so charity event in London called ‘The Animal Ball’. Who would you most love to make a hat for? Audrey Hepburn would be fantastic because she’s such a beautiful icon. I would also relish the chance to create something flamboyant for an artist like Lady Gaga. It all started with a desire to engage people in the dazzling world of millinery, age-old methods, traditional hat etiquette and seasonal trends, as well as showing people how to wear hats and still feel comfortable. Much like our hats, our events are tailored to the client. We can arrange a venue with afternoon tea or even a formal dinner. They’ve proved extremely popular and have ranged from groups of ten to over a hundred. Who are your favourite British fashion designers right now? I love Alexander McQueen, of course, and have always adored Vivienne Westwood for her unique style. I just really admire designers who push the boundaries and create something different. What can you be found doing in London on your perfect Sunday? Ooh, my perfect Sunday would be lounging around, flicking through magazines like ELLE Decoration or Town & Country for inspiration for the week ahead; or doing something cultural, like visiting the V&A, Sir John Soane’s Museum or Royal Academy of Arts. Sometimes I like to venture out of London for the day to lovely lesser-known spots like Leeds Castle or Anne Boleyn’s ancestral home Hever Castle. Where do you always take guests when they visit you in London? When my mother comes to stay, you’ll usually find us in Tate Britain, the National Portrait Gallery, or the British Museum, after which, we always treat ourselves to a glass of Champagne at The Savoy, The Zetter Townhouse in Soho, or The Berkeley. I live near the gorgeous Greenwich Park [one of London’s eight Royal Parks, home to The National Maritime Museum and Old Royal Naval College], and having a guest to stay is always a great excuse for a wander. Cuba, for the culture (before it all changes). Thailand, to explore the beautiful countryside. Croatia, for the history. Bali, to kick back by the sea. And Japan, for the fashion! My sketchbook for when ideas pop into my head, a few pretty scraps of fabric, and my camera.